There’s a huge misconception about flooring and we’re going to clear it up right now. One home, one type of flooring? Absolutely not! You should be able to create a completely different experience in every room in your house if you see fit. Carpet in the kitchen and bamboo in the living room? Why not. This is your house, your business, your home, and you should be able to design it exactly how you like. And Knox Carpets is along for the ride. We’ve told you all about our process and about the importance of open communication along the way. This goes both ways. Combined- we have hundreds of years of experience that we’re happy to share with you. When we see pictures of your home or visit it in-person, we’re immediately able to identify what kind of flooring will best suit your lifestyle and your vision of how you would like the room to ultimately look. Let’s start with carpet. We deal with Australia’s highest quality and lowest price designers and distributors, hand testing and feeling each model before we add it to our inventory. 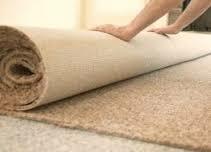 We have carpet styles from Norman Ellison, Cavalier Bremworth, Victoria Carpets, Beaulieu, George Low, Feltex & Chaparral. When you think of carpet you may think of soft texture or durability, but not both. So many myths to bust today! That’s why we endorse carpet for the entry area of your home or business. It’s the first impression that your visitors will receive and they should think comfort and class. We also have a huge variety of area rugs that can complement your foyer rug and soak up any dirt or dust from your visitor’s shoes. Contrary to our thoughts above, we do suggest bamboo or tile for your kitchen and bathroom floors. Innovations in technology are making these increasingly durable and easy to clean, important factors when designing these rooms. We’re proud to announce that our new range of vinyl and laminate flooring- Heartridge by Dunlop has officially arrived. It’s scratch resistant, available in any shade under the sun and fits into almost any budget. You can even match the vinyl with areas like your kitchen and bathroom, with laminate for your living room. Living rooms and bedrooms can be the most controversial. There are benefits to both carpet and hardwood. The question here is how you plan on making the most out of these spaces. If your living space or bedroom is going to be a land of couches and comfortable chairs, then you should capitalize on this and choose one of our most plush and durable rugs. If you foresee dance parties, game nights and high-traffic get togethers, then bamboo is definitely the best option around. Either way, you have a win-win situation on your hands. When in doubt, let us know! We can show you tons of examples of homes and businesses where we’ve installed every one of our lines. One of the things that we love most about our Knox Carpets community is your enthusiasm for creativity. We’re just grateful that you’ve allowed us to come along for the ride.